Karachi May 1st, 2018: #IsMay ab Kia Hai? The mystery box that got us curious last year, came back this year. Last year the box was filled with a lot of exciting stuff with the major announcement of Shopping Day, first Pakistani e-commerce event which was held just a week prior to Ramzan. This year the box which was bigger in size came with a twist. 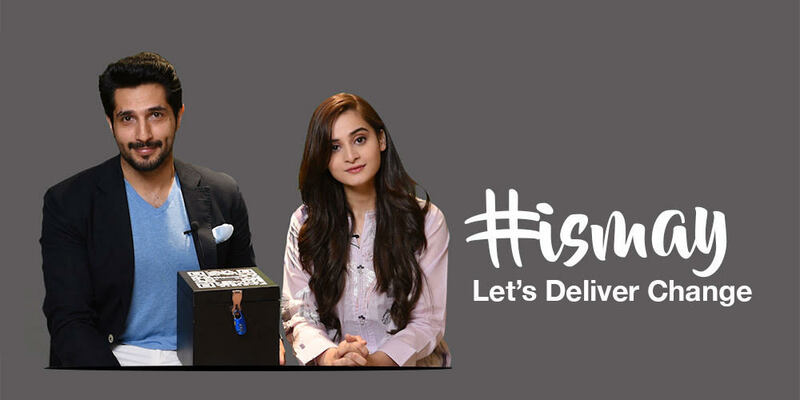 Filled with daily life items that are a luxury for more than 150 million Pakistanis and a message of helping people in need, the #IsMay box is all about delivering change! What hasn’t changed from last year though is Yayvo Shopping Day! Pakistan’s very own shopping event happening just a week prior to the shopping season of Ramzan. Unlike the usual price hikes of Ramzan, Shopping Day allows everyone to shop for all they want from the comfort of their homes with discounts up 75%. The sale will include grocery, lifestyle products, accessories, fashion items and gadgets. This year Yayvo Shopping Day starts from 4th of May because ab #RahaNaJae.